The foundation of every good vacation rental should be the bed. After all, the only reason people even reserve a room or house is because they need somewhere to sleep. We can't count the number of guests who have commented on how comfortable our beds are. Many people who normally have back pain in the morning have mentioned that they actually slept well and woke up pain free. We have been very pleased with our memory foam mattresses. Our oldest ones are just over two years old and are just as comfortable now as when they arrived even after hundreds of people have slept on them. As a matter of fact, we bought more for our personal use! FREE SHIPPING TOO! 3" Full Inches of Cool Gel Foam for the top layer. Meets Federal Flammability standards 16 CFR 1633. Your foam mattress will be sent to you in a very tightly compressed roll. As soon as you receive your mattress unbox and unwrap it then lay the mattress out flat so that it can expand. Please allow up to 48 hours for mattress to fully expand. Expansion time depends on temperature of the foam upon opening. Cooler temperatures will make the foam expand more slowly. Allow mattress to properly air out to remove initial chemical odor. Shipping: Free shipping via FedEx Ground or UPS or similar service in the Continental United States. 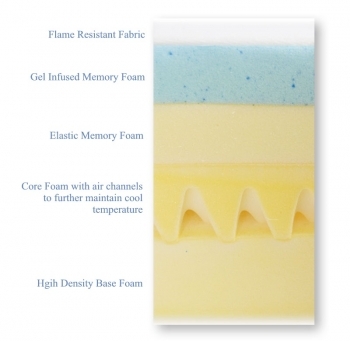 Unfortunately we can't ship the cool gel memory foam mattress internationally. Many short term rental provide combination locks on their doors for easy guest access. However many of these locks are very difficult to see after dark. 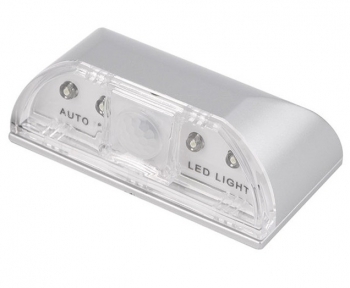 This nifty little LED light solves that problem. Simply stick it to the door with the included tape a few inches above the lock and it will detect motion and automatically light up the area at night. It conveniently uses two AA batteries that last several months with normal use. FREE SHIPPING! 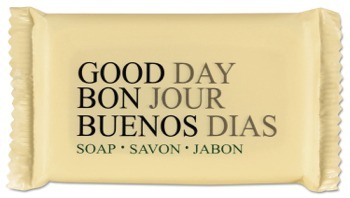 If you are purchasing bars of soap at your local store then chances are you are wasting money! These 1.5 ounce bars of soap are big enough for a couple of showers yet small enough at 14 cents each to not dent your budget. Place a couple bars in each bathroom and let your guests feel special. Can I Make Money From a Vacation Home Rental? Running a Business? Act Like It! Which Vacation Home Website Should I List On? Check back for more articles! Copyright � 2019 House for Rent, LLC 520-261-1819 Contact Us Request a consultation about your short term rental now.